up to 1,492 new jobs available! Renewable energy is a phrase we often hear in politics regarding job creation yet many are still waiting to see the promises put into production. Despite today's termination of a federal grant program that would have created 75,000 jobs and put more than $25 billion to the economic flow, the rise of renewable energy is imminent. The grant program was part of the stimulus package created in February 2009 to help keep the economy from further detriment during the peak of the recession. With the continual push for less reliance on foreign oil, the U.S. Department of Energy is exploring ways toof taking advantage of energy sources with an abundant supply. The uses of renewable energy will be able to benefit for commerical and residential sectors. According to the Bureau of Labor Statistics (BLS), renewable energy sources would spark job generation stemming from research and production to construction. 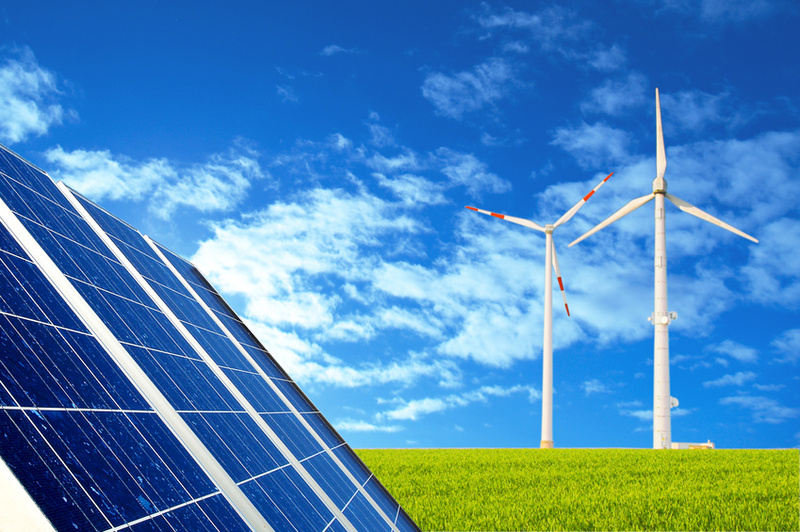 Renewable energy sources include solar, wind, and electricity. Popular focus on renewable energy has been focused on its use in the automotive industry. Hybrid cars and the use of biodeisel is making continued developments and proving to have growing support. The shared sentiment toward domestic solar energy among business exectives is optimistic. An attributing factor to this outlook is the 50 percent drop in average price for solar panels last year, according to the Solar Energy Industries Association. In all consideration, there is a vast range of jobs within other industries--like real estate, for example--that would also be needed in renewable energy projects. Most positions involved would entail having formal training and qualifications to perform the required duties, therefore, wages are competitive. Solar power is one of countless areas of development that renewable energy boosts. With its power to generate jobs widespread among a variety of industries, it only makes sense why there is so much emphasis on getting renewable projects up and running. Disclaimer: Job-engine.net is a job search engine. All trademarks, service marks, logos, and/or domain names are the property of their respective owners. The web site and its contents are not endorsed, sponsored by or affiliated with any listed employers. Job Engine is your free job search and career site. Search for your industry or by individual company. Read current and archived articles on searching for jobs. Then research your potential salary and cost of living, if moving to a new areas. Copyright © 2019 Job-engine.net All rights reserved.